ON Friday, this newspaper had published a front-page photo of Goldman Sachs chief executive officer David Soloman with the words in big capital letters: “Sorry, Malaysians”. Solomon apologised for “(Tim) Leissner’s role in that fraud” but not for himself or the bank. He insisted that the investment bank was “misled by Leissner and senior officials in the Malaysian government about the role of a key intermediary in the scandal, Jho Low. Leissner had pleaded guilty to violating United States anti-bribery and money laundering laws and had agreed to pay US$43.7 million in restitution. By blaming Leissner and others, Solomon is maintaining that Goldman Sachs itself is free from blame. The report also quoted former prime minister Datuk Seri Najib Razak as saying that Goldman Sachs must take responsibility for its “dereliction of duty”. Najib insisted that he had put in place “a system” to take care of Malaysia’s interests. If Goldman Sachs failed to do that, then they have to take responsibility “because they were appointed and paid by 1MDB to take care of our interests”, he said. In November, in an interview with a Malay daily (Sinar Harian), Najib said: “Back then, we appointed lawyers, auditors and Goldman Sachs, a well-known investment bank in the world, to look after the interest of Malay-sia. “This means we had in place a correct system. However, they did not carry out their duties. The responsibility of this bank and all the rest was to protect Malaysia’s interests. According to a recent New York Times report, Goldman Sach’s tactics now is to put the blame for the bank’s appalling negligence involving 1MDB on its two employees: Leissner, who acted as the conduit for Jho Low, and Leissner’s sidekick, Roger Ng, now in custody in Kuala Lumpur pending extradition to US, as well as “other scapegoats”. 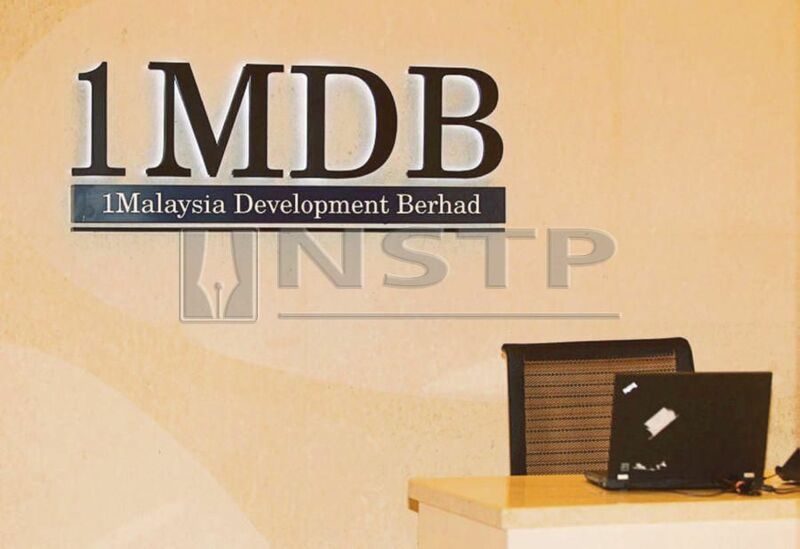 As Solomon and Najib continued to blame each other (and Jho Low), Deputy Prime Minister Datuk Seri Dr Wan Azizah Wan Ismail believes the 1MDB scandal was caused by greed. Apart from fraud, dereliction of duty, greed and leadership failure, are there any other external factors which contributed to the 1MDB fiasco? According to the Global Witness portal (www.globalwitness.org), there is in place a global anti-money laundering system to prevent the laundering of the proceeds of crime through the international financial system. However, the 1MDB scandal shows that this system is not effective. The banks involved in handling the 1MDB funds failed to put in place the necessary money laundering controls they were required to have. What this means is that either the banking system failed to detect the money laundering risks, or the banks were willing to ignore what they saw. Finally, there is also the absence of anti-money laundering regulation for US lawyers. They are not required to do due diligence on their clients in the same way that banks have to. According to the portal, this is the loophole which Jho Low took advantage of and was able to bring in “his stolen cash into the United States”. On Sunday morning, I texted a KL-based town planner and political observer, Nik Ramly. I asked him what he thought of this blame game between Najib and Goldman. He said blaming each other and looking for scapegoats is part of human nature. It takes guts for a person to accept blame. He dismissed Goldman’s apology as insufficient and meaningless and agrees with the recent statement by Finance Minister Lim Guan Eng that Malaysia should be compensated for every sen lost by 1MDB. Only then will the apology have any meaning. Lim had said on Friday that Goldman Sachs should understand the agony and the trauma suffered by the Malaysian people as a result of the 1MDB scandal. I agree with Nik Ramly and Lim on this.